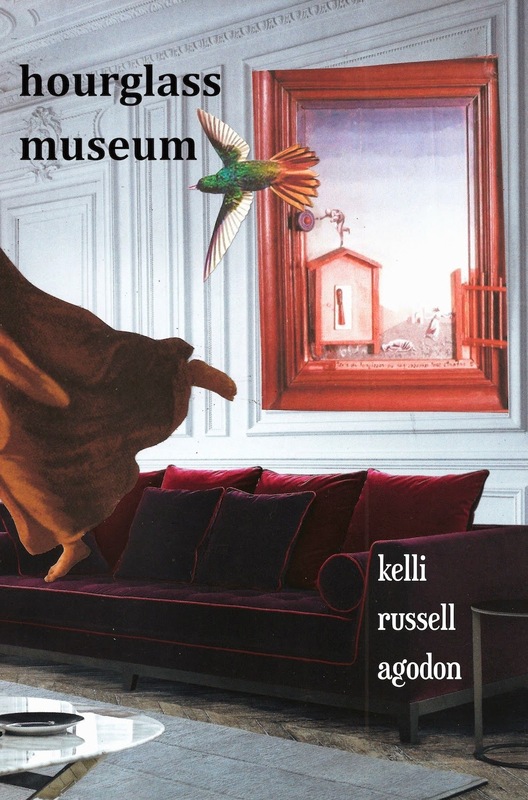 The first book I'm giving away is my book, HOURGLASS MUSEUM (White Pine Press, 2014). It's a book that was written from me to you, and should be read in bed or in the bath. It's a book about the struggle of living a creative life and seeing our lives reflected back to us in art. The book came out a year earlier than planned. Because of that, there are poems in it that make me feel self-conscious and a little vulnerable. If I had a year to think about it, they may not have appeared. A lot of poems focus on Frida Kahlo and on the way to a writing residency, I found this canvas of her which inspired a few poems. The second book of poems is a White Pine Press book by Christopher Merrill. "Christopher Merrill is one of the few genuine men of letters left on our literary scene. He excels at everything--history, memoir, translation, poetry, and now Necessities." This is his fourth collection of poems and he really explores narrative through the prose poem. 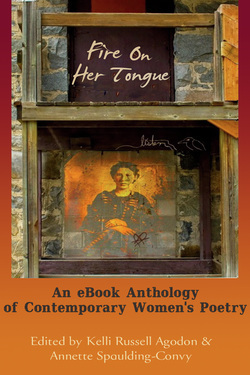 It's an incredible collection of about 79 women poets who are writing today and is the very first eBook anthology of its kind! Poets in the collection include Jane Hirshfield, Dorianne Laux, Kim Addonizio, Natasha Saje', Aimee Nezhukumatathil, to name a few. But there are many many more. It's a great anthology to help introduce you to new poets! Martha Silano and I wrote The Daily Poet after spending many afternoons in coffeeshops where we brought each other writing prompts to write to. We realized other people may find these useful as well, so we took what we had and added many more to create 366 writing prompts--one for EACH day of the year. So this book will help you write your own poems! Jeffery has been kind enough to offer up his book as a special giveaway just because it's National Poetry Month. This has truly become one of my favorite books to read lately, so it's a good one to own! 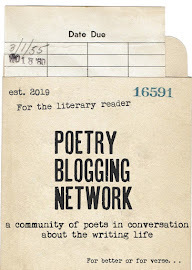 I'm Kelli Russell Agodon, (aka Kells), the one who started this event for poets/poetry five years ago after being inspired by artists-who-blog who put together a similar giveaway in February. I am a poet, writer, and editor (in that order on my best day). I cofounded an indie press with my friend Annette Spaulding-Convy called Two Sylvias Press. Our first project was anthology by women poets called Fire on her Tongue: An Anthology of Contemporary Women's Poetry, which is now available both as a PRINT or eBook. I believe in hard work and kindness, but not in that order. I like coffee, dessert, museums, sunflower seeds in the shell, stand-up paddleboarding, mountain biking, hiking, golden retrievers, To Do lists, the color orange, artists, winning things, and bubble water. I am always looking for: ways to do things better, new artists, birds, how I can achieve balance, simplicity, a small house on the water, pens, my slippers, an escape route. I just published Hourglass Museum this year through White Pine Press and am slowly beginning my 4th manuscript. I like writing poems better than anything else, but I also write essays, creative nonfiction, some short fiction, blog posts, and emails. I know I'm too busy if there are no fresh flowers in my house. And much of this year, I've been too busy. I look forward to doing less in the future. To me, success is how much downtime I get, how many days I can do nothing. My writing process is to sit down and write daily. Usually in the morning before anyone gets up. I will also be writing a poem every-other day for National Poetry Month. I love postal mail, typewriters, inkwells, keylime pie, swing music, fedoras, and anything vintage. 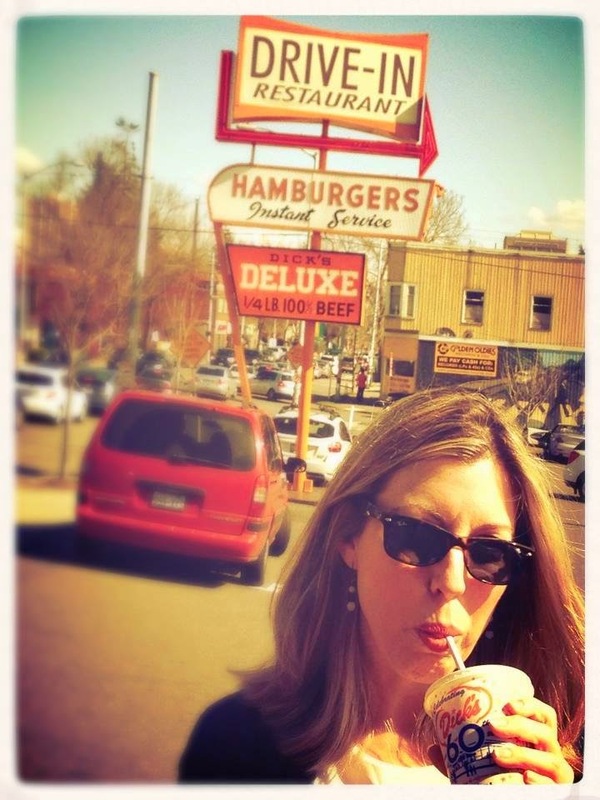 I sometimes think I was born in the wrong decade. I like to giveaway things. So there we are-- 5 ways to win! 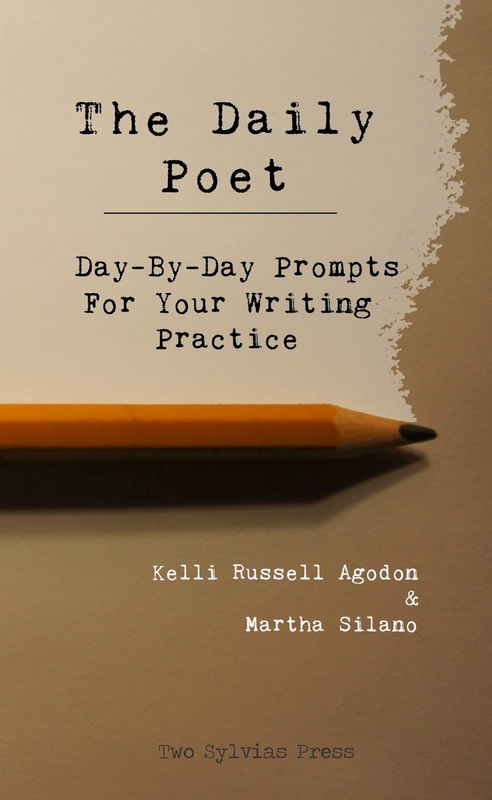 2 collections of poems, one anthology, and one book of writing prompts! Not bad for just leaving your name and email in the comment section. This drawing is open from now through ALL OF APRIL 2014, National Poetry Month! If you'd like to be entered, please leave your name and email address by midnight (Hawaii time), APRIL 30th, 2014 below in the comment section of this post and I'll be randomly choosing all lucky winners the week of May 1st, 2014. 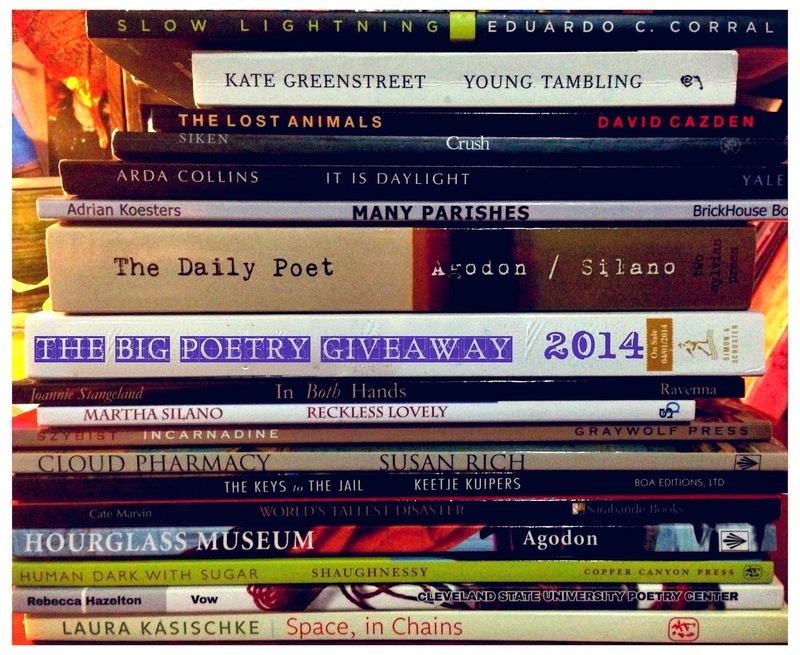 And again, if you want to giveaway 2 books of poems, learn more about that here. OH and here's a list of all the other poets participating. Click on the links to enter their drawings as well. Sign-me up! I would love to win Christopher Merrill's new book or a hard copy of "Fire" --- Of course I have the other two wonderful books! Love National Poetry Month. This will be my 4th year participating in NaPoWriMo. April and more poems coming, great way to celebrate spring, new beginnings, changes. Thanks for your generous offer. I'll try to post my own giveaway in the next week, but in the meantime, I need to put my name in for this drawing. I already have (and love!) The Daily Poet, but I would love to win any of the poetry books. Thanks for this, Kelli! My email: drebelle81@gmail.com. I'd also like to host a giveaway at my blog, so I'll head over to that link next. Please sign me up! I have The Daily Poet, but I would love a copy of any of the other three. Hi Kelli -- I was over typing my post to join when I realised I had forgotten this part. I would absolutely love to receive any of these books. I'm so excited to be participating in this this year (post forthcoming later today). Hooray for generous poets! What a wonderful opportunity to get to know poets, even if I don't win a book exploring the blogs will be a delight. I must win your new book! I adored Letters from the Emily Dickinson Room. Great way to get more poetry out in the world! What a great way of sharing. Brilliant. Wow! What a great giveaway. All the books sound neat. 4 books?! And I would happy to win any of them! Oh yes, sign me up! I have the prompts, and I have an eBook version of Fire on Her Tongue, though I'd love a paper version. Lovely, please add me to your drawing! I would love to be entered. This is my first year participating in NaPoWriMo! My email is pretzelsforbreakfast at gmail dot com. Thank you! I'd loved to win a copy of Fire on her Tongue or The Daily Poet. Count me in! I'm interested in Fire on her Tongue and The Daily Poet. Oops! Forgot to add email. I would LOVE to win any of the above books. Thanks for doing this. Would love to add these editions to my library. Been following you via blog for awhile now and would love to win any of these books! Please enter my name to win any of the books you are giving away. I love reading your blog, especially the confession Tuesday posts, and I look forward to reading more of your poetry. wow, what a generous giveaway! i hope i win something! Please enter me in the drawing and thank u for doing this. Ahh okay those are all amazing books. Would love to win. I would be over the moon to win one of your books! I really needed to find this today. I would love to receive a book but feel I have already won as I now have this great list of poets, thanks for putting this together! April is quickly becoming my favorite month. Would love any of these titles! Thanks for organizing this event again! Any (not to mention ALL) of these books would love to rub shoulders with all the other books on my shelf! Very happy to see the Giveaway! return. Even if I am a bit too late to officially join it myself. HI! I would love to win a book of poetry. Sign me up and thank you! Please Add me to the drawing! So many good books! Happy Poetry Month! Hi! My name is Robin A. Sams, and I want to enter your giveaway. Hourglass Museum sounds really interesting. 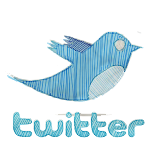 My e-mail address is robinasams@gmail.com. So exciting and very generous! I would love to witn Hourglass Museum and Fire on Her Tongue! Thank you! Absolutely awesome, generous idea. I'd love to read one (or more!) of these in the balmy months to come. Okay, yes, yes, please enter me in the drawing! What a lovely way to celebrate National Poetry Month! Thank you, Kelli. Last minute addition to the pile, if you'll have me!